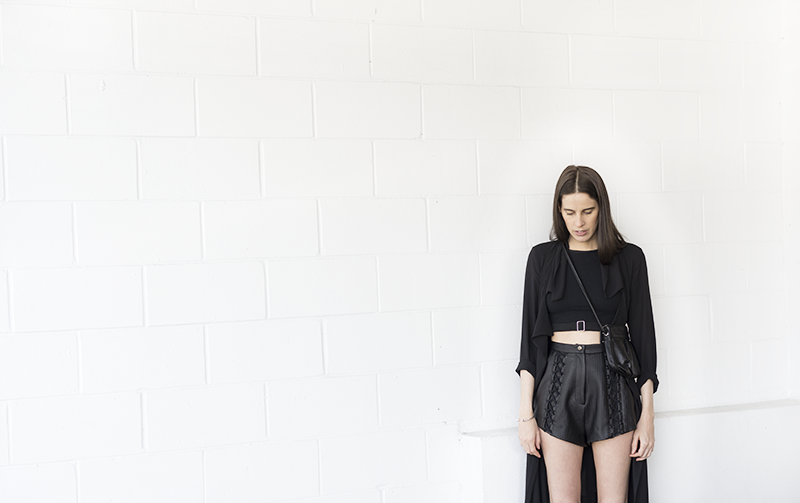 WEARING: Oak and Fort Duster, DIY Crop Top, Cmeo Collective Shorts, Zara Sandals and H&M Bag. Buckle up Summer has arrived! This past week was beautiful outside, just how I like it +30 C; and all the good stuff that comes with that... Beaching, pool parties, patio drinking, and plainly hanging out outside without being cold. Summer is my favourite season and no I don't believe that you need to stop wearing black when it gets warm outside. I have this duster for a few years now, I got it for a job interview and continue to wear it, here for a casual get together for drinks while catching up with my girlfriends. Oh my, these shorts....they are the best shorts I have seen in a while, need a pair! *_* Great length too! I hate that most shorts stores offer are super short, almost show your bum, no thanks!!! 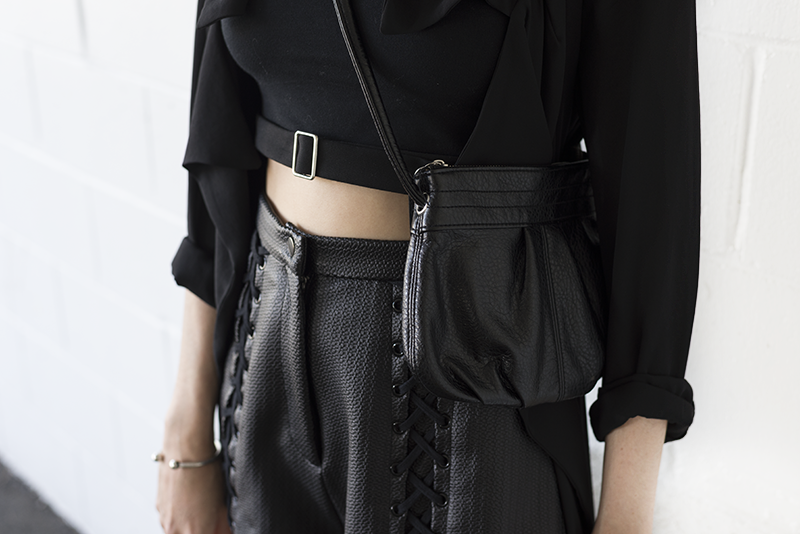 I also love wearing black no matter the season, it's the chicest color! Black is seasonless in my book. love love everything.. i freakin love the new site too!! I never give up on black, even in the summer. wow the shorts are so awesome!